Forklift Certification in Maryland - Be Certified Today! Do you like to pursue a career in material handling as a forklift operator in Maryland? Getting your forklift certification is the right approach to prepare yourself for your next job. A certified forklift operator can make an hourly rate that ranges from $14.00 to $16.00. If you are interested getting into this profession, you need to take your training course to be certified. We will try to answer that questions here in this guide. The training should be specific to the type of forklift you will be operating. Therefore, before enrolling in for a course, know the type of forklift you are intending to use. Enroll in the training course. The list of training schools is listed below for your reference. The trainee should undergo the theoretical lectures and actual forklift operation. The lectures usually last for 8 hours and the actual forklift operation can last for 6 hours, depending on the exhibited skill of the operator during this operation. The trainer or school will print the certificate of training completion to be issued to the trainee, the trainee will also be given certification card. You can present these documents during job application or show to your current employer confirming your competency. The certification expires three years and the trainee must retake the training for the purpose of certification renewal. The role of the employers is to provide forklift training to all operators as per OSHA guidelines. The training could be done at employer’s location or training schools own facility. Either way, the trainer must conduct the certification in accordance with OSHA standards. There are circumstances that operator must be recertified or retrained, cases such as: if the operator is involved in an accident and if he was observed operating the truck in an unsafe way. A trainee must not be younger than the legal age of 18 years old. The employer can only hire workers at this age. Having an experience operating forklift can definitely give an edge to get accepted into the training and actual employment. The trainee is preferred to have at least eighth-grade reading competency. High school diploma or GED completion. What’s Your Future as Certified Forklift Operator? In Maryland, there will a projected increase in material handling jobs. There will be a spike in employment ratings in this field due to shifting or career change and even retirement of workers. 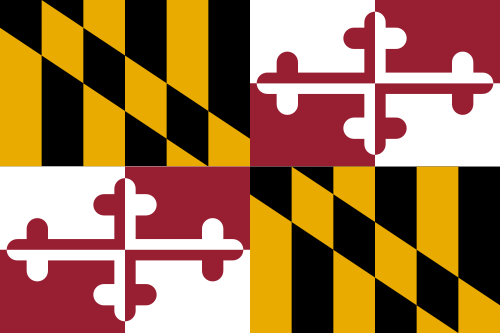 Your hourly wage may differ according to competency, experience, and responsibilities handle in previous employment, but in Maryland, it is slightly higher compared to other states. An operator can make as much as $38,034 on average yearly. Employers can pay more depending on the volume of work, business progress and skill level of the worker. In Pennsylvania, the neighboring state, hourly wage of forklift driver is a higher.